With the frenzy to digitize everything, just abundant compute power or a digital platform is not enough for big corporations. There are multiple cloud providers that can provide those commoditized services cost-effectively. Instead, values for business come from providing data, and, more importantly, insights into the future, predictable results along with actionable intelligence. Routine weather cost US businesses over $500 billion in 2014. Outside of political turmoil, weather is the most powerful force that can interrupt a business. Predictable weather information—using the three billion global forecast reference points—and its effects on business in the near or far future, and actionable insights to avoid such situations, could be worth more to companies than just a weather forecast. In this keynote, Bryson Koehler, the CIO & CTO for The Weather Company, will discuss how IBM helps airlines monitor and adjust their fuel intake during airport congestion delays to carry just enough fuel, with a fairly accurate prediction, to avoid costly fuel burns. IBM also helps airlines take the subjectivity out of decision making when scheduling aircraft for maintenance, especially after the planes hit turbulence, with a high degree of accuracy. IBM TWC, has a massively scalable IoT platform called SUN that powers upwards of 26 billion requests per day connecting 3 billion IoT devices online always. Learn how you can build a highly scalable, always available IoT network to provide data insights to your business consumers in this keynote. Bryson Koehler is CITO of The Weather Company, an IBM Business (Weather). He is responsible for setting the strategic vision, financial planning, technical operations, direction and execution of strategic technology initiatives. Koehler came to Weather from Exigen Capital, a private equity firm, where he was an operating partner overseeing the firm’s investments and operations in the travel and entertainment sectors. Prior to his time at Exigen Capital, Koehler spent 10 years at InterContinental Hotels Group (IHG), the world’s largest hotel company, most recently as the senior vice president of global revenue and guest technology. Koehler also served as vice president and director of global distribution technology earlier in his tenure at IHG. 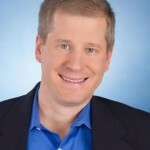 Prior to IHG, Koehler served as director of global technology sales for Vicorp.com and held various technical leadership positions for USWeb, where he managed the technical relationships for a broad array of clients. He began his technology career at Arthur Anderson as a technology strategy consultant, where he helped implement knowledge-sharing platforms on emerging Internet technologies for a diverse group of clients. Koehler earned bachelor’s degrees in political science and in communications from the University of North Carolina at Chapel Hill, NC. He lives in the Atlanta area and has two children. He is active in his community with Juvenile Diabetes Research Foundation (JDRF), Duke Cancer Research Hospital and American Red Cross disaster relief. He is also the chief of his son’s YMCA Indian Guides program.